Hi y'all and HAPPY DECEMBER!!! I did not make it to post a freebie last night as I was working diligently to get ALL of my files completed and uploaded for the December Download-A-Day at 3Scrapateers! My apology to ALL who look forward to the DAD each month and came to find NO new link to download today - MY BAD!!! 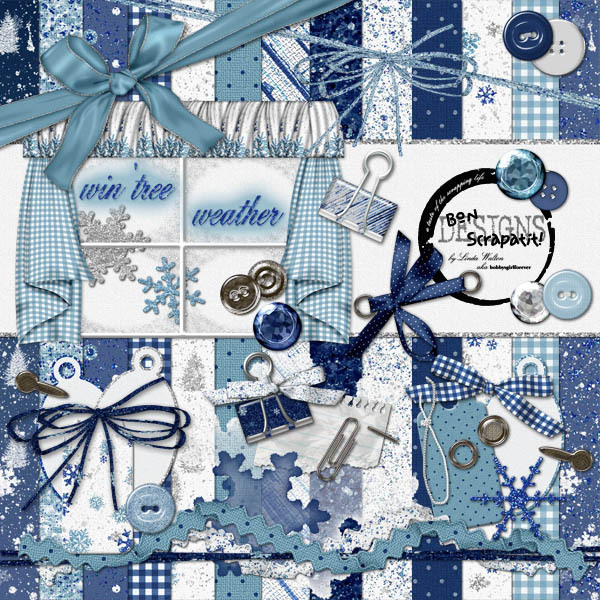 Yes, I will be the DESIGNER in the SPOTLIGHT this month and each day you will be able to download a new piece of my NEW "Win'tree Weather" scrapkit for FREE! 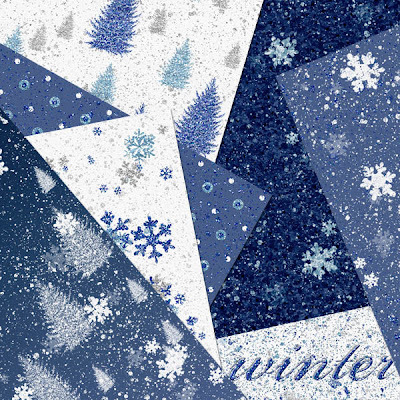 To make GOOD on MY BAD, I am interrupting the "Holiday Sparkle" mini's to give you a VERY special creation of mine that will coordinate with "Win'tree Weather"! I had such a FUN time creating these SNOWY window frames, but only had room to include ONE in the kit! I hope y'all like it. 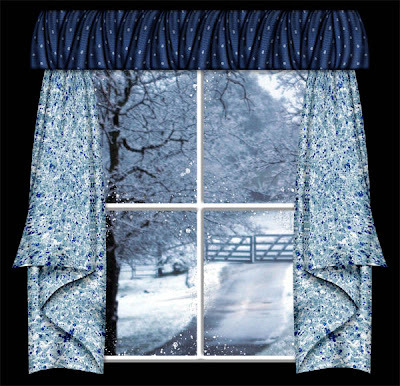 I created the frame and and the snow and used a FABULOUS photo wrap action by Rose.li Pandoveze to make the curtains. They are actually two different actions for two different wraps and I just made a copy of the curtain and flipped it horizontally to create a "pair" and used the second action as a valance!!! I am REALLY amazed at ALL of the INCREDIBLE actions that these EXTREMELY talented designers are coming up with! I SO want to learn how to make my own in the future. This kit is going to be PERFECT for me to scrap some of the photos from March of 2006 when we GOT SNOW here in Copper for the first time in 20 years!!! It was SO gorgeous and surreal for me. My goodness, I think I snapped about 500 photos!!! Is that OVERKILL, or what? ROFL! Okay, SNOW what!!! Below, you will find a PREVIEW of "Win'tree Weather" and directly below that a link to the FREEBIE frame that matches. The FIRST download link for the Download-A-Day should be up later tonight or by tomorrow morning and don't worry, you won't miss out on Day 1. 3S is always VERY good about providing links due to DESIGNER error (gee, do I resemble THAT remark!). My days never seem to go UN-interrupted!!! In fact, as I'm sitting here scratching all of my hair out, I get a phone call from a brother I have not heard from in at least a year. It as after 10:00 pm - how WILD is that??? Oh, not to mention the 12-year-old behavior from my 18-year-old twin boys ... er ... uhm ... I mean "young men" earlier in the day!!! LOL! He, he ... and what would I really do without ALL of these WONDERFUL interruptions??? Oh, gee, let me think .... maybe meet a deadline or two!!! ROFLMBO! In my dreams! I will post the link to "Win'tree Weather" here each day as well, which will take you right to the download page where you will click on the highlighted word, HERE. Don't look for it there now as you won't be able to find it until all of the files have been uploaded and are ready-to-go! If I'm not too tuckered out later on, I just may post another freebie for "Holiday Sparkle" and will also let you know when the DAD is up! Until then .... thank you for being the AWESOME loves that y'all are and for being such an INCREDIBLE support system!!! Y'all keep me motivated FOR SURE! Photo not included - you will be able to slide your own photo behind the window!